Dave & Nicki Murphy William was my driver and crew leader, he was fantastic. The other two gentlemen were courteous, kind, very respectful and careful. This move went smoother than I ever thought possible. I would highly recommend them. If your looking for movers in Ft. Smith you’ve come to the right place. At Movemart Relocation Inc., we think beyond the boxes. 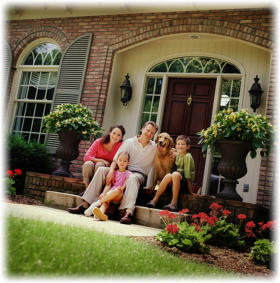 We understand that moving is about more than a simple address change. It’s a life change. Our Ft. Smith moving and storage services begin well before the truck arrives and lasts long after the final box is unpacked. 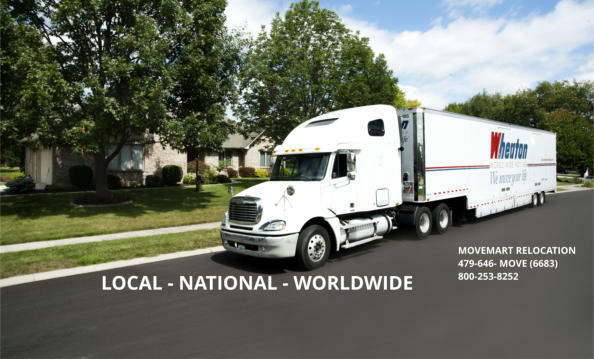 You’ll find friendly, helpful people ready to listen and answer your questions through every step of your Fort Smith, Arkansas state wide, national or international moving experience. Movemart Relocation and it’s interstate moving partner Wheaton World Wide Moving, have proven time and again that trust is essential to a successful residential or commercial Arkansas moving experience. Entrusting your life’s memories to Movemart Relocation and Wheaton World Wide Moving is more than a promise of customer satisfaction; it’s a guaranteed way to put a smile on your face. We are proud to announce that one of our drivers Loyad Murphy has earned Wheaton’s Intermittent Fleet Driver of the Month award for October 2014. It is through the concern and efforts of dedicated people like Loyad that we continue to earn the trust of people across the nation. We are proud to announce another Driver Of The Month Award for one of our drivers. William Morris, Movemart Relocation, Inc., Fort Smith, Ark., earned Wheaton’s Intermittent Fleet Driver of the Month award. Bill has been qualified as a driver for the van line since 2009 and has 14 years of experience as a professional mover. This is his second Driver of the Month award.